Item # 317824 Stash Points: 2,495 (?) This is the number of points you get in The Zumiez Stash for purchasing this item. Stash points are redeemable for exclusive rewards only available to Zumiez Stash members. To redeem your points check out the rewards catalog on thestash.zumiez.com. 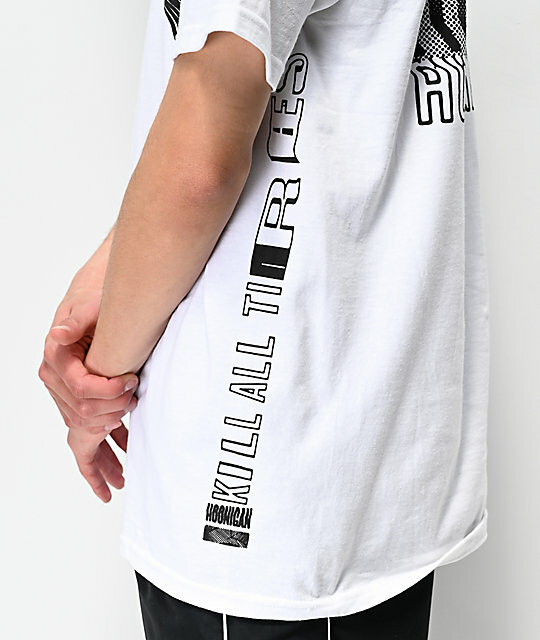 Kill all the tires while wearing the K.A.T. 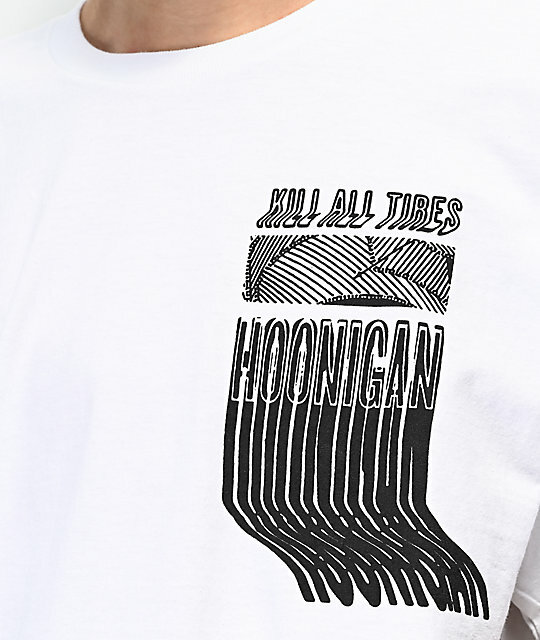 Warp White T-Shirt from Hoonigan. 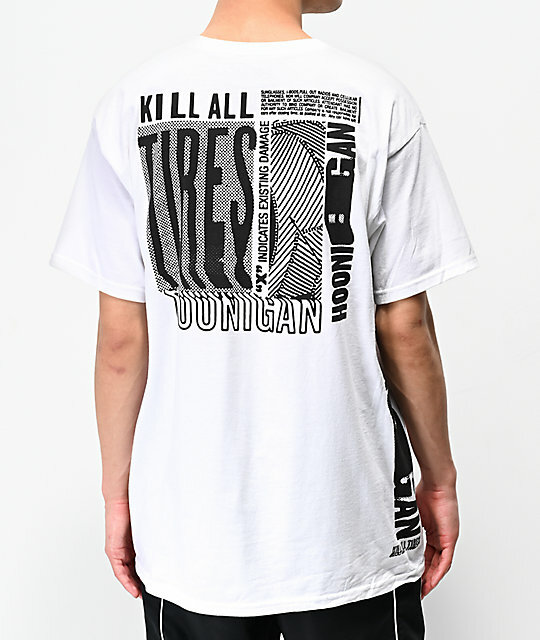 This crisp white tee features screen-printed graphics in black that read "Hoonigan; Kill All Tires" at the left chest, back and sides. A relaxed fit and cotton construction keeps things comfortable and ready for "hooning." K.A.T. 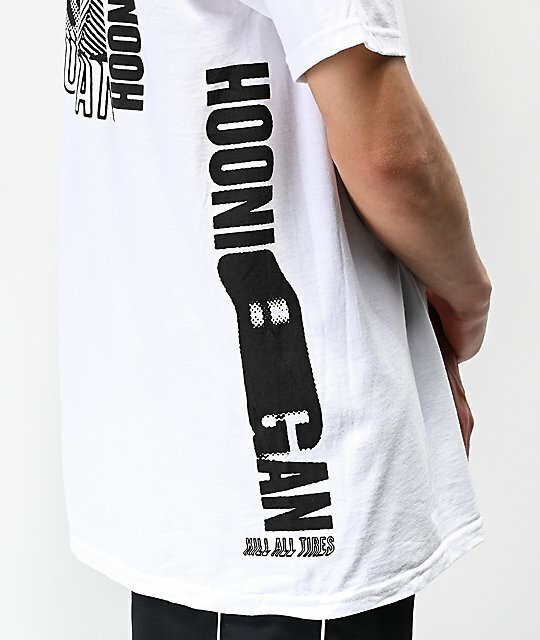 Warp White T-Shirt from Hoonigan. 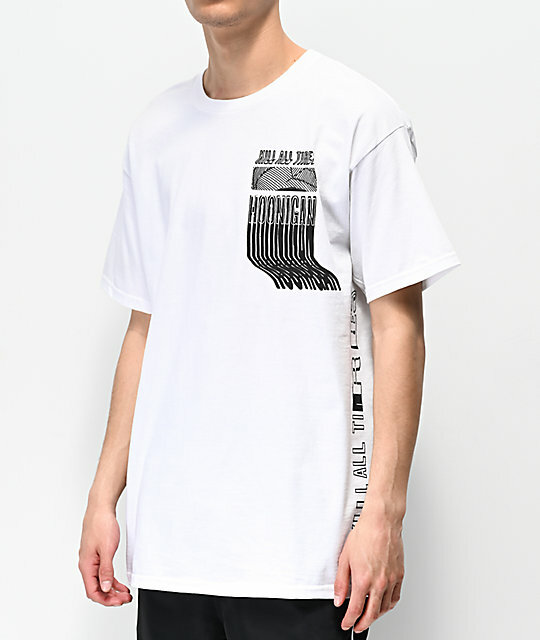 Screen-printed graphics at the left chest, back & sides.